Supremely talented furniture designer Mousarris has created visually astounding . This glorious looking piece of furniture design is no ordinary offering and, as you can see, it has a level of visual impact which is pretty much unparalleled. 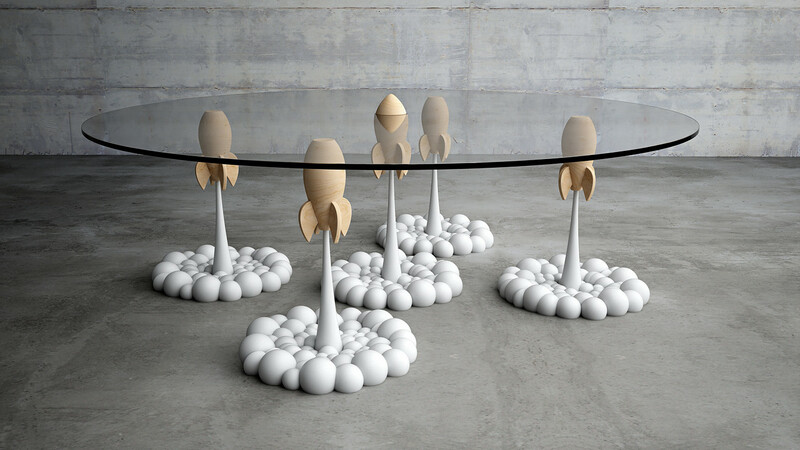 If you like your furniture fun and quirky, the Rocket Coffee Table from Mousarris will fit the bill rather nicely. 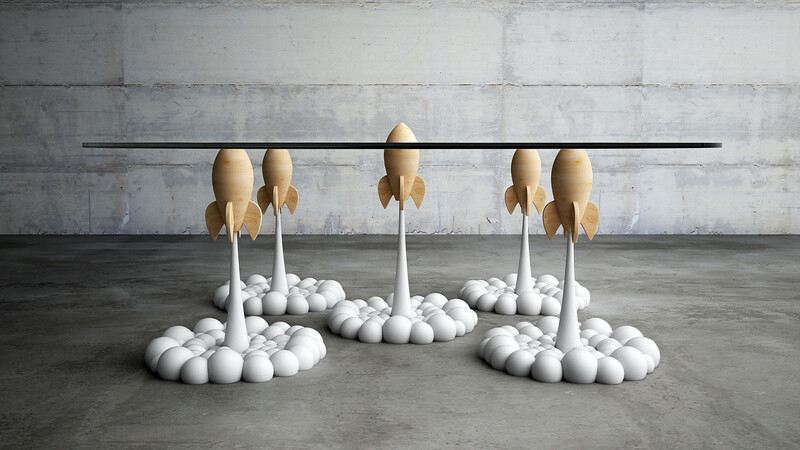 The design is visually playful bringing cartoon-like clouds and aerial rockets from a personal toy collection to life, in the form of a table. 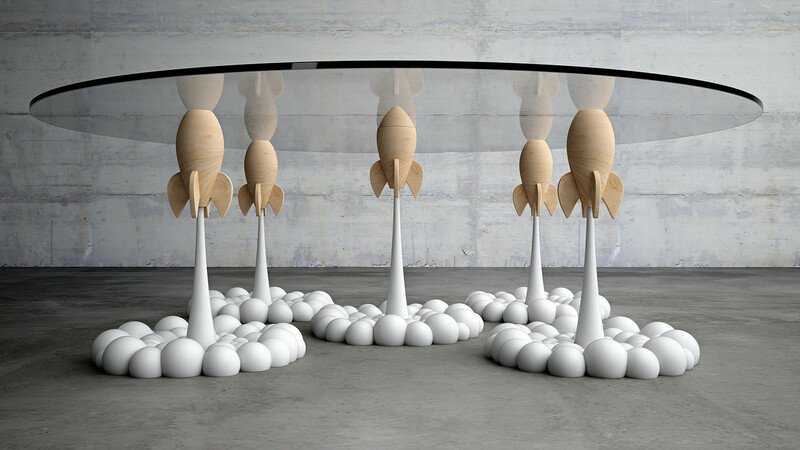 Combining various techniques from lathe to 3d printing, resin casting and traditional hand curved pieces, this table is fashioned to draw a smile on the face of nostalgic adults, children, and children trapped in adult bodies. The rockets are not attached to the glass giving the opportunity to each owner to form their own desired structure of the table.